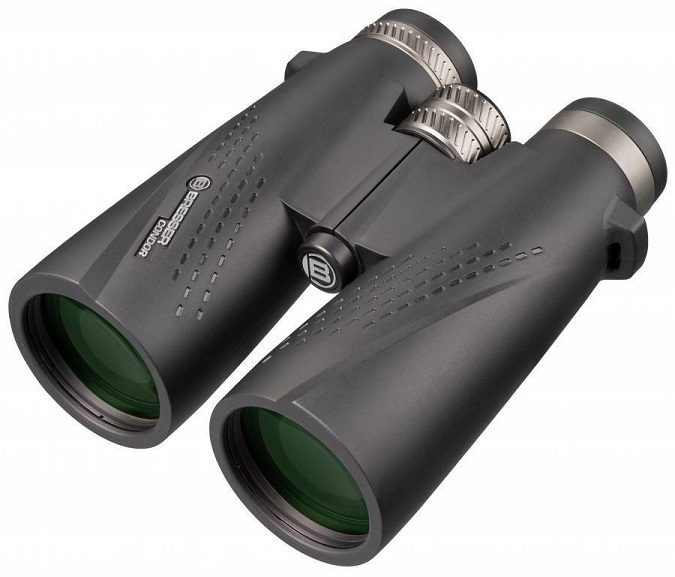 The Bresser Condor 10x50 are extremely versatile binoculars - with high light gathering power they are also waterproof, nitrogen-filled and high-quality processed. With the rotatable and lockable eyecups can adjust the eye distance for the observation with and without glasses; a dioptric correction is standard. Featuring BaK-4 prisms with a special UR coating that brings even more light to your eye. All lenses are fully multi-layer coated. In addition, the eyepieces and focus wheel are made of sturdy metal.